While the girls were having special father/daughter time this weekend, I got out the chalk and went to work on their wall. Have you ever drawn on your walls? It's pretty fun. 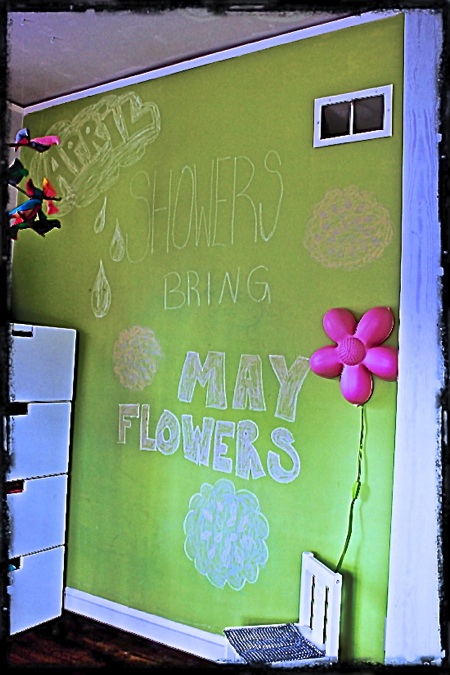 You can click here to see a truer version of the "Pear Green" chalkboard wall. "OH. MY. GOSH." I heard when they got home. I wasn't sure if that meant a hit or a miss. Then I hear Anri go, "this is the coolest wall I ever saw!" So I guess it's a hit.